Workplace Safety Audit (WHS Audit) or Safety Gap Analysis is a proactive approach, to ensure your safety management system is effective and complying with WHS regulations. It also emphasises to colleagues that they work in an environment which wants to promote safety as one of its core values. No matter what safety and health challenges you face, whether one time only advice or a full range of services, we are ready to work with you to assess your needs, evaluate options and develop solutions. 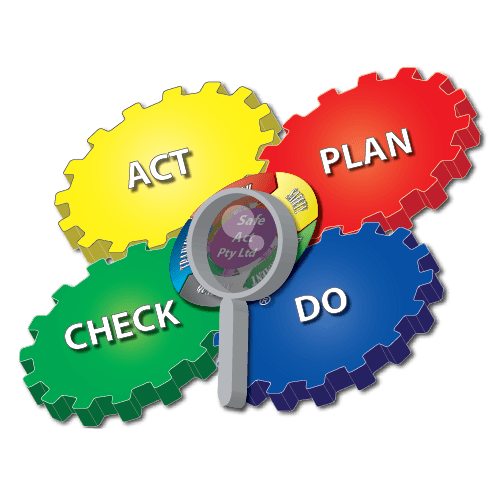 Initial Workplace Safety Audit and Inspection of your work systems, methods and risk controls; appraise how you currently comply with legislation and provide you with an understanding of your duties and specific obligations. Risk Assessment – Where safety issues are discovered we help you to assess the risk and prioritise your management actions. Workplace Safety Audit Report provide you with a comprehensive and ‘Plain English’ report document. Action Planning and Implementation – We will support you to develop and implement an improvement plan. This includes building better hazard management processes and improved workplace communication and consultative arrangements. Furthermore, Safe Act’s Workplace Safety Audit covers a wide range of assessments designed to identify strengths and opportunities for improvement. We work with you to identify key areas that may need immediate attention, and help you to implement health and safety improvement plans and initiatives. Safe Act conducted Workplace Audit and Safety Gap Analysis in accordance with appropriate Legislative and Industry best practice requirements. In addition to the interviewing of workers, inspecting facility and equipment, and by monitoring conditions and controls. We review and evaluate existing documentation, and management philosophy and practices to determine degree of compliance and performance.